Niche A Genetics Survival Game Wings and Whale is a Simulation and Strategy game for PC published by Stray Fawn Studio in 2018. Make new generations! Lots of new creatures can be created by you in this game. First, You have to learn how to create them. Niche is a very unique game. 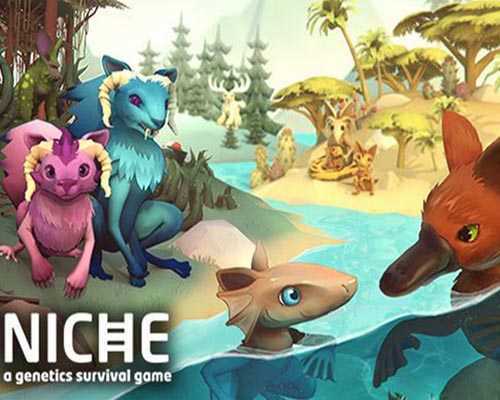 It is an adorable turn-based strategy game where you play as a tribe of squirrel-esque animals gathering food, avoiding or defending against predators, and breeding to evolve more adapted creatures. Difficulty is controlled by the player based on which habitats you choose to migrate your creatures to from the relatively safe meadows to mountain tops full of predators waiting to eat those who avoid freezing to death. Where Niche A Genetics Survival Game Wings and Whale really shines in the “realistic” genetics system which controls the abilities your animals have to help them survive – such as the ability to crack open shellfish or dig for food – and includes various genetic defects and penalties for inbreeding. 1 Comments ON " Niche A Genetics Survival Game Wings and Whale Fre... "